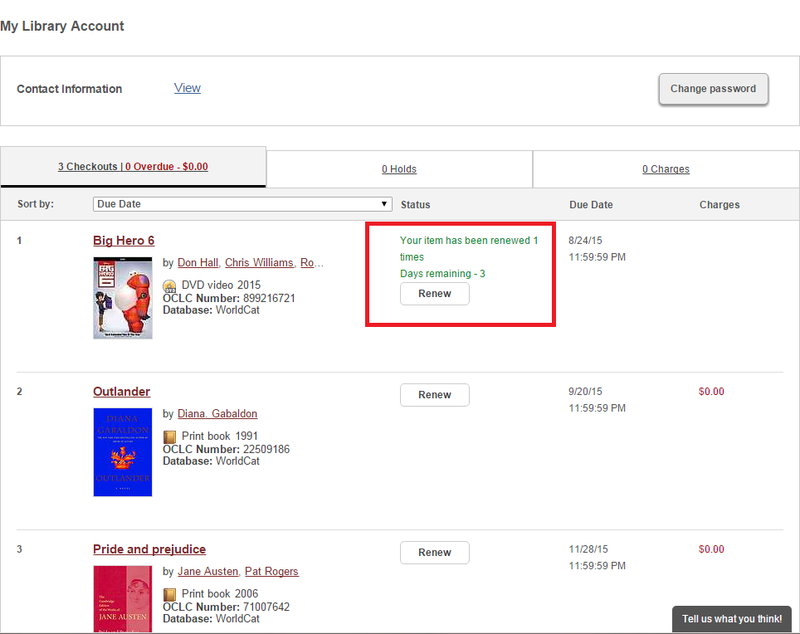 You can easily renew items using your Library Account! Please note: iPads, iPad accessories, 3 day loan laptops, and interlibrary loan items are not available to renew with your Library Account. For interlibrary loan items, please contact the library directly at 336-316-2450 or library@guilford.edu. 1. Go to the Library Catalogue and sign into your library account. 3. Your current checkouts and their respective due dates will display. To renew, click the renew button to the right of the item. Once renewed, the new due date will display.